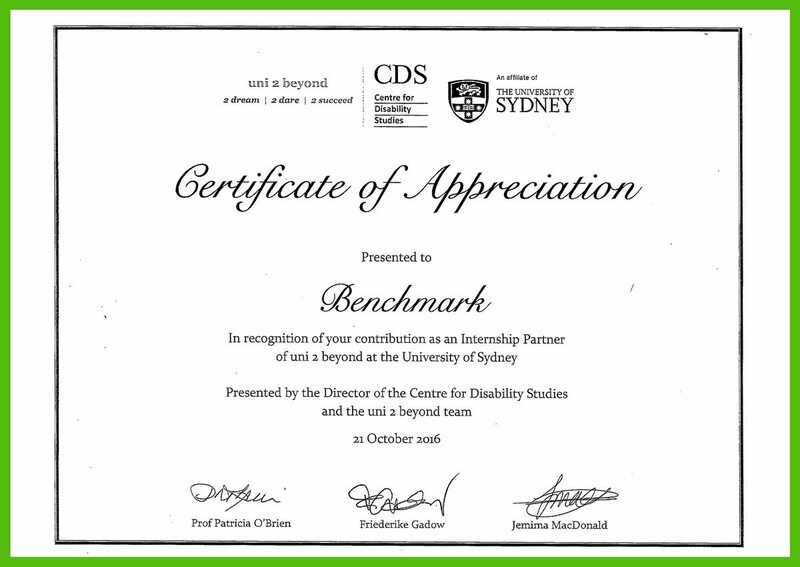 Benchmark Estimating Software joins as part of an innovative new program at the University of Sydney, to provide young people with intellectual disabilities will be embedded as paid interns in leading Australian organisation. MIEngineers and its sister company Benchmark Estimating Software were privileged to collaborate with the University of Sydney’s, Uni 2 Beyond, internship pilot program and are extremely proud of the great success achieved by this pioneering initiative. Uni 2 Beyond is an inclusive education program that aims to develop both ‘work-ready’ skills as well as broaden the social networks of students with an intellectual disability. To read the full story, please click here. 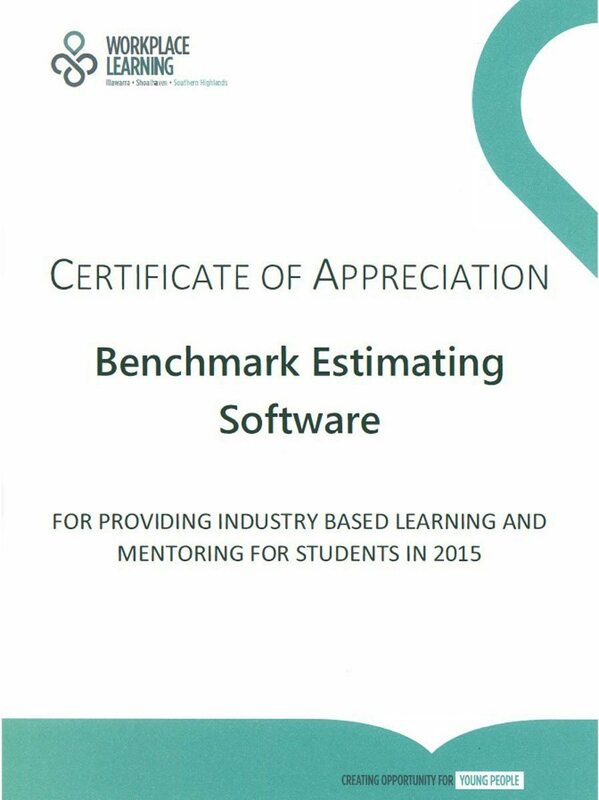 Benchmark Estimating Software is making a vital contribution to the education of the regions young people. We are proud of the certificate of appreciation for providing industry-based learning and mentoring for students in 2015.